From a recent find this same year. The octahedral crystals, with very well defined faces and edges, have a considerable size for the species and are unusually fresh and bright. They are on matrix, with Calcite that has not been acid-etched. Very aerial aggregate of very sharp octahedral crystals. 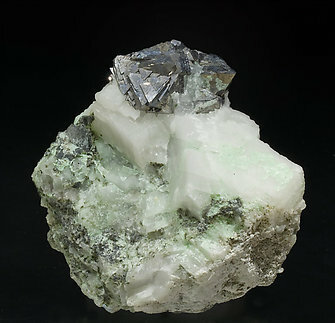 They are extraordinarily bright, a very uncommon quality for the species, and it is on matrix, with Quartz. A novelty at Sainte Marie-aux-Mines 2011. 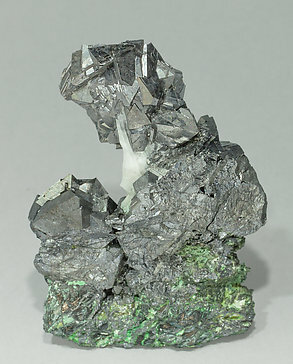 Very aerial group of sharp octahedral crystals of Gersdorffite. They are bright and are on a matrix of Calcite, with thin coatings of slightly green Annabergite. 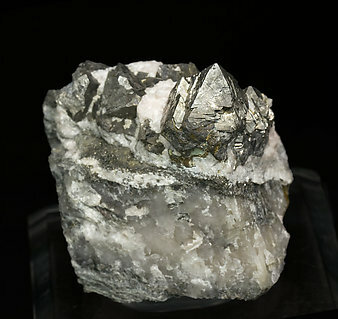 Very sharp octahedral crystal, of a large size for the species. 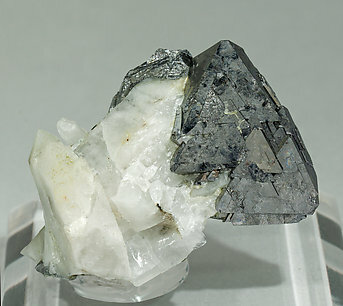 It is extraordinarily bright, a very uncommon quality for the species, and it is on a Quartz matrix. It has a small contact on one of the lower vertices and the whole back side.